As a customer, I want to see websites that are eye-catching, modern, sleek, and beautiful, as well as easy to navigate and find the information I need, whether I’m on my laptop, a tablet, or my smartphone. On the flip side, I’m about to build my own website, and I want all of that – as well as an easy-to-use interface for the building process, which is a tall order when you want all of those other features, too. But I found me (and you!) a company that can do both – without costing thousands of dollars. Goshly, founded in 2014, offers what they call a “next-generation” website builder and e-commerce cart. 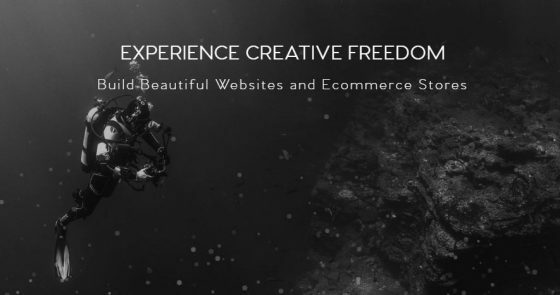 Their ground-breaking technology uses advanced mathematical algorithms to plot every single pixel of movement when building a website – resulting in websites that are automatically mobile- and tablet-responsive, looking beautiful on any size screen. Even better? This tech also allows you to free range drag-and-drop elements anywhere across the full width of the page. Dozens of beautiful themes: Goshly offers website themes for everything from restaurants, landing pages, and startups to accommodations, nonprofits, and blogs, and more. Fully integrated e-commerce: GoshlyCart is their e-commerce platform, and it integrates seamlessly with their websites (of course), and includes one-page checkout, real time shipping, inventory management, multiple product layout options, and all the same mobile-responsive benefits of the other pages. Built in email marketing suite: Featuring a drag-and-drop email editor, AB testing, an email capture form designer, and a custom unsubscribe form, Goshly’s offering is comparable to using a separate, dedicated marketing suite. Which – if you prefer – you can still do: they allow you to connect to MailChimp and other email services. Easy-to-use editor: Goshly’s proprietary editor makes it as easy to edit your site as it is to use Microsoft Word – you can literally double-click and just start typing. Goshly’s pricing plans let you choose between monthly and yearly, the latter having the advantage of a significant discount (two months free). Websites costs start as low as $12.50/month (paid yearly), and e-commerce store pricing starts at $15/month (paid yearly). Both options offer three tiers of plans depending on your needs, all of which come with hosting and domain services, their drag-and-drop website builder, automatic mobile responsiveness, 24/7 ticket support, and access to their email marketing suite. On the fence? Check out some of the beautiful websites they’ve already done.